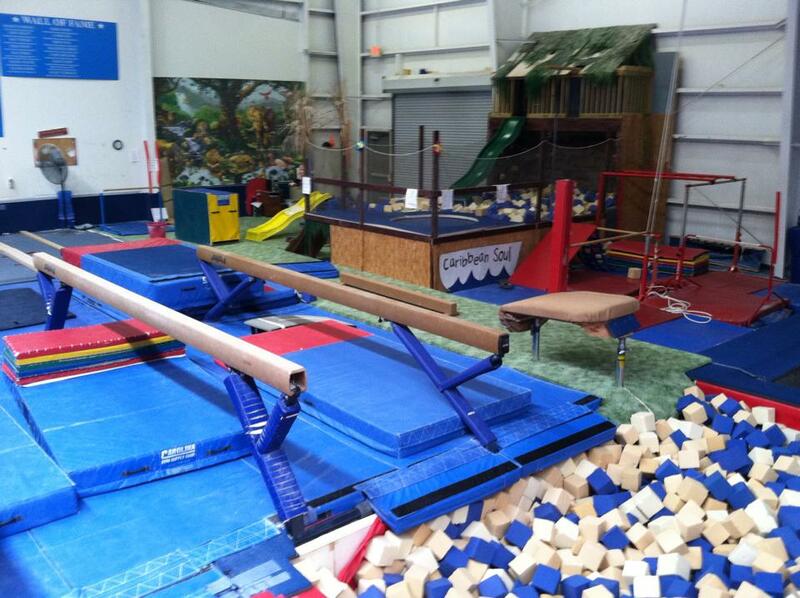 Gymnastics & More is now in its state of the art “DREAM” facility. This 18,000 sq. ft. fully heated and air conditioned facility is the best of its kind. No expenses were spared to bring to your child the latest and greatest training equipment and facility. We have 2 in ground trampolines, a 40′ long in ground tumbling trampoline, in ground loose foam pits, multiple in ground solid foam pits, climbing ropes, a bungee system and the latest gymnastics equipment available. We are located within The Sports Zone Center located at 304 East Hwy 90 in Little River, SC. If you are searching us on GPS, it is best to put “Beach Boys Automotive” in your GPS search and we are directly across the street from that. For the adults that bring their children to our facility, we are located right next door to The Fitness Zone….a privately owned workout facility with an emphasis on wellness. Stop by there for a workout of your own! Designed for little ones in mind ! With scaled down uneven bars, low beams, private floor exercise area, mini vault into foam pits, rock wall, trampoline, slide, monkey bars, fireman’s pole and MORE!